University strongly supports creative initiatives by students. 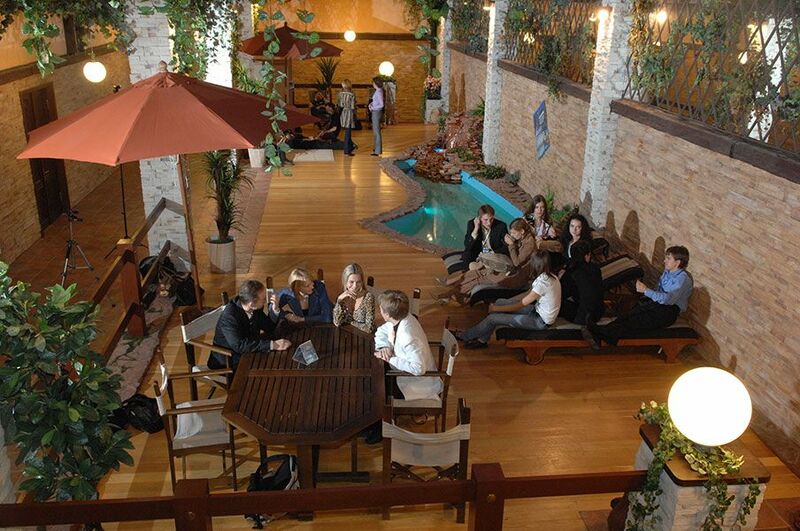 There are different student clubs: choir, instrumental band, vocal studio, DJ-club, dance-club, young audio engineers’ club “Sound”, creative laboratory “Flash club”, philosophers club “Eidos”, art critics club “Art-planet”, foreign language study clubs “European parlour” and “The University English club”, psychological club, archaeological club, photo club “Art of photo”, Law faculty clubs “Femida” and “21st century lawyer”, journalists club “Views”, club “Advertising and PR”, students creative union “Social work as creativity”, public speaking lessons. Everyday life and leisure of SPbUHSS students are perfectly organized. There is a comfortable House of Students for those who come from other regions. There is a cafeteria, 4 cafes, medical center, bookstore, recreation facilities, pharmacy, laundry, lounges “The Beach” and “Italian Street”. SPbUHSS students enjoy healthy lifestyle and believe that practicing sport is inseparable from success in life. Sport and fitness center named after Professor Mikhail Bobrov helps them achieve their goals. Safety and order in the University are recognized as a model to follow. Students never take drugs or alcohol and have never been noticed in violating rules. There is no place for racial and national intolerance within the University environment. Personal safety is of the highest level.